I am on the train, travelling to Cambridge and reflecting on some research I have been doing with colleagues at the University. In looking at how people use communications and how they interact with information on-line it has become obvious that now more than any time in the past, how the interface is designed is absolutely crucial. Usability and Accessibility have always been important, but with the amount of information available to us on the Internet rising exponentially, having an interface which is designed with a knowledge of how we, as human beings, process information is key. This has led me to look into research areas such as 'Cognitive Load' and 'How Memory Works'. Rather than attempt to just dive in and read about these areas, on which a great deal has been written, I consulted with colleagues who have a good working knowledge of the research and asked for some ideas on where to start. I asked one friend; "What is the link between Short Term and Long Term memory". "No one really knows", she said. "But the best place to start is the work of Alan Baddeley. 1. How are long-term and working memory related? Although Alan has been writing on human memory for a long time I found this key paper by Alan (WORKING MEMORY: LOOKING BACK AND LOOKING FORWARD - 2003), a great help in understanding how he views the processes of memory. Based on this and his on-line talks I created a simple diagram for myself, which is a little basic but I think it illustrates his vision, here. (it needs some work when I get the time). 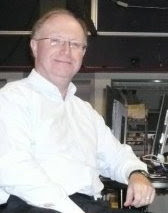 Alan Baddeley has taken this early thinking by authors such as George Miller and shown that the 'rule of 7' (+/- 2) is true for many pieces of information we perceive but our processing of language is different from say our processing of vision, using a processing system which Alan has come to call the 'Phonological Loop'. My friend showed me a simple test recently, which demonstrates this very well. Here are 3 groups of seven words, each should be read out to a subject once and then they should be asked to repeat them back. 3) Johnny, went, to, school, on, time, yesterday. Generally they will score higher on 1 than 2. Subjects will often associate the words in 1 with images in memory, whereas the words in 2 are essentially concepts and are difficult to link quickly in memory. The words in 3 make up a 'sentence' in English and are processed in the 'Phonological Loop' that Alan describes and generally subjects recall all seven with no difficulty at all. Another interesting test, referred to in the paper written by Alan in 2003 [Working Memory - referenced above], is for unrelated letters, the sequences being similar or dissimilar in sound. The sequence of similar sounding letters are less well remembered and this shows how our language system changes how our memory works. Interestingly this works equally well when reading the letters off a page, which is surprising, as we might assume that it would use both the visual and language systems. Try reading them, then looking away and trying to recall the sequences, first [a] then try the same for [b]. Having now read much of the latest work in the field, my friend was of course correct, we do not yet fully understand how these human systems work, much of how our brains function is the subject of current intensive research. However we do have a good working-model that allows us to at least picture at the 'systems level' how we perceive and process information. For example we know that if we 'deliver' information in 'chunks' it is easier to remember (Early work on remembering telephone numbers led to the way we now display them). Armed with this basic knowledge of our human perception and memory systems we should ensure that we design a user interface and its associated information retrieval systems to optimise the interaction with the thing on the end of the system, us. It will be of no surprise that my friend is a researcher in 'user centred design'.